Let's start by asking you some questionsto get your customized price! The MB6 is a four person Barefoot Spa. 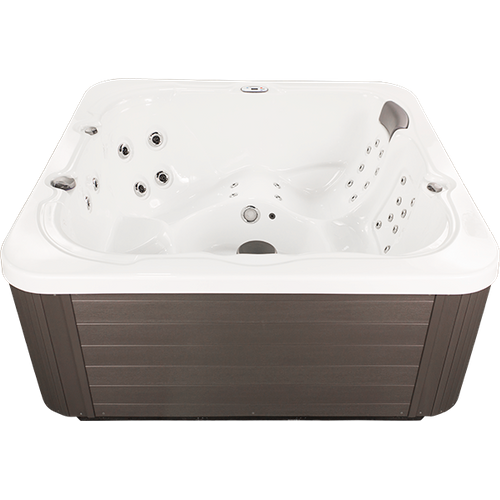 Packed with features, this mid-sized spa offers a multitude of ways to relax with ergonomic style seating. Barefoot Spas | A holistic approach to health & vitality. Wellness is not a final destination but a path to be wandered and enjoyed.No single component of the journey is a solution in and of itself. Instead, the path is winding and continuous with a variety of experiences that contribute to your overall health. 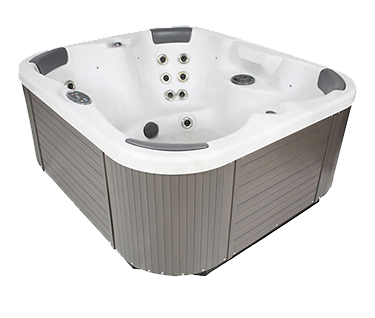 We believe that using your hot tub regularly is a vital component ina holistic blend of life‑shaping activities. 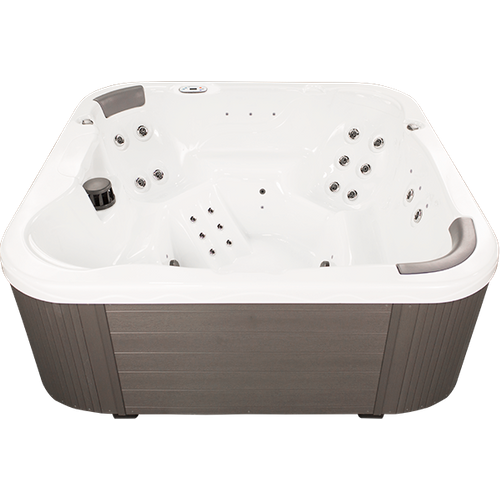 The ML7 offers hydrotherapy jets configured to provide hot tub massage for all parts of the body, and seating designed to accommodate individuals, families, or even social gatherings with ease. 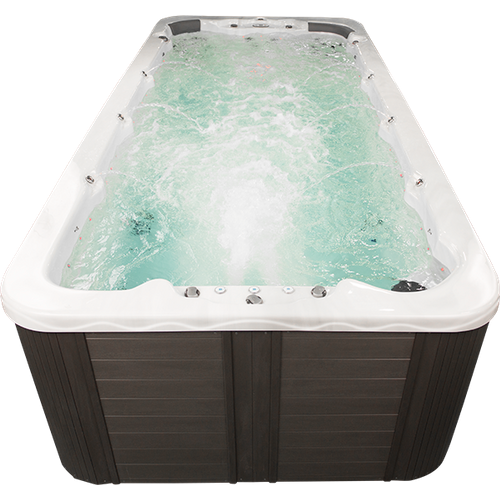 Barefoot Spas has taken all the desirable features of a full-size hot tub and integrated them harmoniously into this mid-size spa. With seating for up to 7 people, the MB8 leaves plenty of room for entertainment. 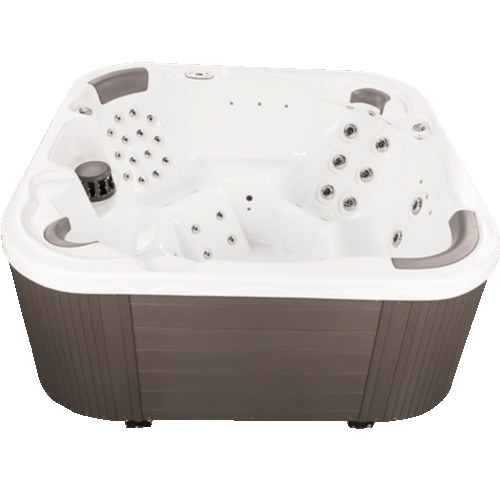 Plus, a large open footwell is easily accessible for maneuvering within the spa. It also comes standard with two jet pumps, and ergonomic seating throughout. Find the right spa for your lifestyle. 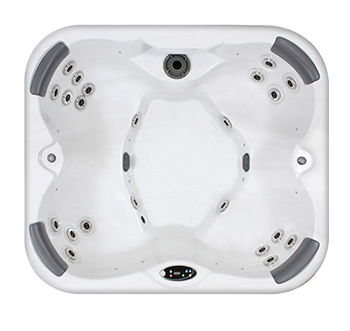 Barefoot Spas is one of America's leading hot tub and swim spa brands. Our spas are handcrafted in our advanced manufacturing center in Richmond, VA.
Pro-Loc™ is a registered trademark of CMP All other trademarks, logos images and content is the intellectual property of Barefoot Spas. Use of images and content is strictly prohibited. 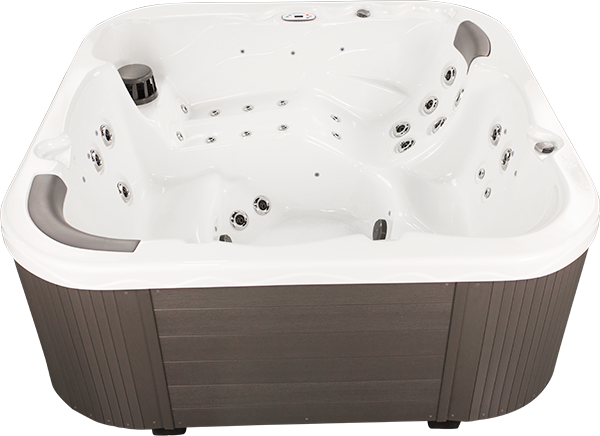 BarefootSpas reserves the right to change product specifications or features without notice. 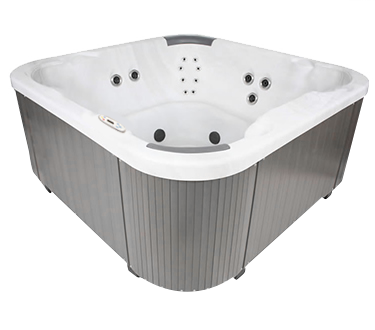 BarefootSpas is a manufacturer of spas and we stand behind every product we produce pursuant to those representations which are stated in our written limited warranty. 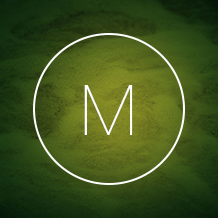 Your dealer is not an employee or agent of BarefootSpas. We cannot and do not accept any responsibility or liability for any other representations, statements or contracts made by any dealer beyond the provisions of our written limited warranty.